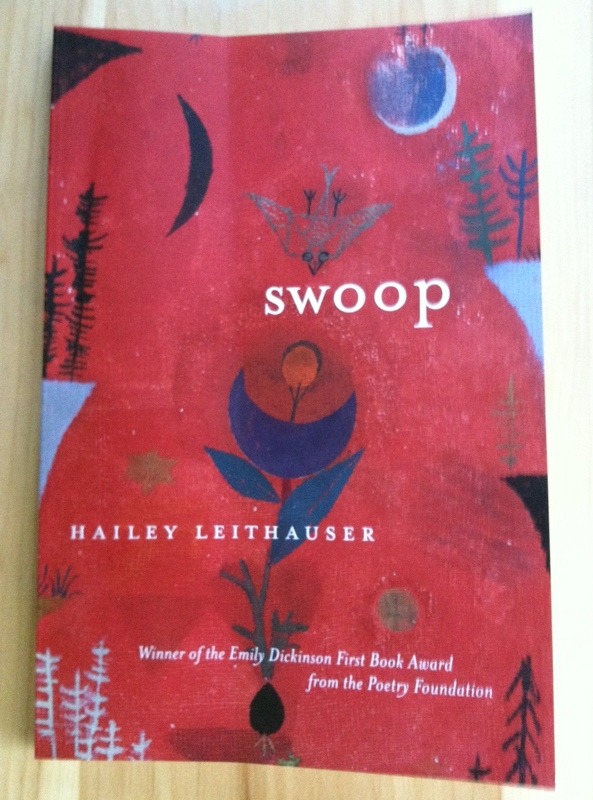 On Monday I reviewed Hailey Leithauser’s award-winning debut collection, Swoop. Ms. Leithauser graciously agreed to be interviewed via email. Your biographical note on The Poetry Foundation’s website indicates that you started writing again after a ten-year break. What precipitated your (triumphant) return to poetry? HL: Actually it was more like a twenty year break. I can actually point to a specific moment when I began writing again; I was on a lunch break from work, at the National Gallery standing in front of Van Gogh’s Pieta, of all things, when a poem about the painting began streaming in front of my eyes. But those tickles in the brain had really been building for several months. My mother had died that spring, and I think that overwhelming pain had shaken things loose. Also I was about to receive her inheritance which would enable me to retire, at least for a few years. I knew I wanted to use that time to write again, so my subconscious had been gearing up. How did Swoop come together as a collection? HL: Swoop started when my brother sent me a palindrome, and said it looked like a line from one of my poems. I agreed and I loved the idea of the music inherent in a palindrome so I started writing them and putting them into poems, and really very quickly, in maybe three years, I had a book length collection. At first when I gathered them up I didn’t see any other unifying theme, but as I read them together I saw the idea of excess, a celebration of excess, both in emotion and in linguistic play, seemed to be framing the manuscript. When reading Swoop I noticed often that the effect of a particular poem was amplified by its predecessor — and “Zen Heaven” is such a powerful closing poem. How did you go about ordering the poems in Swoop? HL: I wish I could take credit for that, but when I first tried organizing the book it was terrible, truly, truly awful. I had all the poems clumped together, all of the curtal sonnets next to each other, all of the Grandiloquent Dictionary poems together, the four poems “Scythe,” “Guillotine,” “Brass Knuckles,” and “Crowbar” in one string. One of my co-winners from the Discovery Prize, James Arthur, was in town for AWP and I gave it to him for critique. He wrote me a few days later to say he loved the poems but it was like eating a pizza with all the pepperoni on one slice, all the mushrooms on another. So then I broke up all the poems, sort of scattershot, and I showed that version to Sandra Beasley. She told me I was right to break them up, but now it was too random and so she did the very difficult job of ordering the book. I made a few changes here and there to that version, but I stuck pretty close to her basic framework. Honestly, without their help, I can’t imagine that the people at the Poetry Foundation would have chosen Swoop. The poems in Swoop are exuberantly musical — do you listen to music while writing? Who or what are your musical influences, and who are your favorite “musical” poets? HL: I’ve been asked this before and the truth is I would be much too distracted it I had music on while I wrote. My favorite kind of music is blues, but I don’t see that reflected in my writing. Unless you would consider bird song to be music. I do like listening to that when I’m working in the back yard. Some of your poems refer to the Grandiloquent Dictionary, and all of them showcase a rich and dynamic vocabulary. What are some of your favorite resources for discovering new words? HL: I used to be a reference librarian and own a fairly decent selection of dictionaries and thesauri, and whenever I see books on interesting and archaic words I snap them up. I bought one this fall, “The Word Museum,” that gave me the word “SNOUTFAIR” (handsome) that I put right into a poem. I recently wrote two poems about the Renaissance characters Tom o’ Bedlam and his counterpart, Mad Maudlin, and for those poems I read through a few online dictionaries of Elizabethan slang. After the success of Swoop, what’s next on the writing horizon? HL: I’m in between the second and third drafts of a new book, The Cannibal’s Song,, and hoping to have it ready to show to Graywolf this summer. Now that I’ve done with palindromes, my new obsession is acrostics so there are quite a few of them in Cannibal. And about a third of it is poems that pre-date Swoop. Some of these poems first appeared in magazines ten years ago so I’m excited about finally finding a home for them. My thanks again to Ms. Leithauser for her time and generous answers. You can read more about Swoop, and purchase the book directly from Graywolf Press, here. I have never thought about the ‘art’ of arranging a collection of poems before. 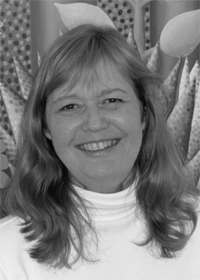 It would be interesting to hear about Sandra Beasley’s method. I know I have fun arranging my books in my own way that doesn’t really make any sense to anyone but me. But, then, when I look at them, it just feels right. I think I’d find arranging a collection very difficult, especially if I were close to the work; I can see why it would be helpful to have an outside perspective (like an editor for fiction, right?). I was thinking the exact same thing. I’d never given any thought to the importance of ordering poems in a collection before. Very interesting interview, Carolyn! It’s good to learn about a poet’s writing ways and experiences. Carolyn it was fascinating to learn what goes into creating a book of poetry. It was also interesting to hear Hailey write that a piece of art drew her back into her poetry. I’m picking the book up tomorrow to read. Thank you for the great find and interview. Thanks, Nelda! I hope you’ll love it!